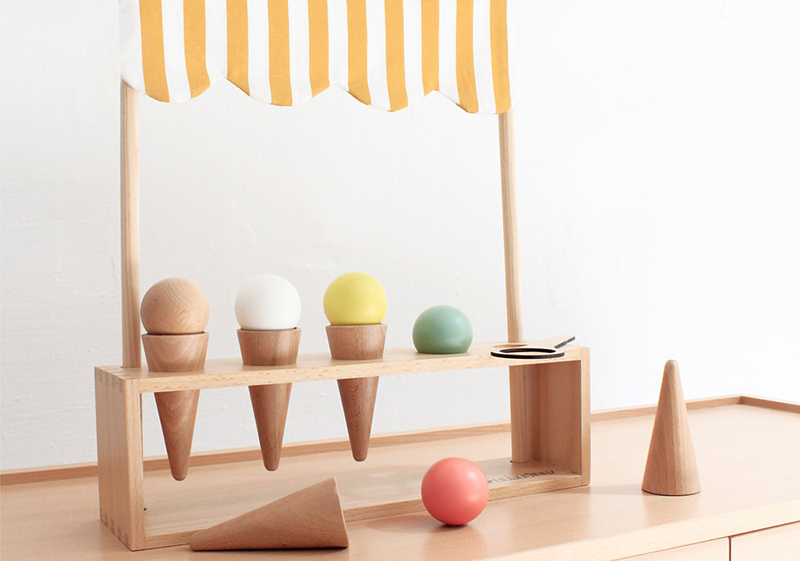 Wooden Ice Cream Corner toy for sweet treats all year round! Combining two of my greatest loves – wooden toys and ice cream – it’s with great excitement I tell you ice cream can be enjoyed all year round with the Ice Cream Corner from Nobodinoz. Kids will be setting up shop in no time with this Ice Cream Corner toy. Stunningly simple in a style synonymous with Nobodinoz, the set includes five wooden ice cream cones, ice cream scoops, a serving spoon and a wood stand with yellow and white cotton striped awning. It’s almost sweeter than ice cream itself! The Nobodinoz Ice Cream Corner toy is priced £62 from Molly Meg.